Built from top-grain leather and elastic side panels, the Dagger vest offers a great fit and great quality. The vest includes YKK zippers, left and right side conceal carry pockets, zipper closure pockets outside the vest and an inner full zipper for easy patch installation mean this is a vest that will serve you for a long time. 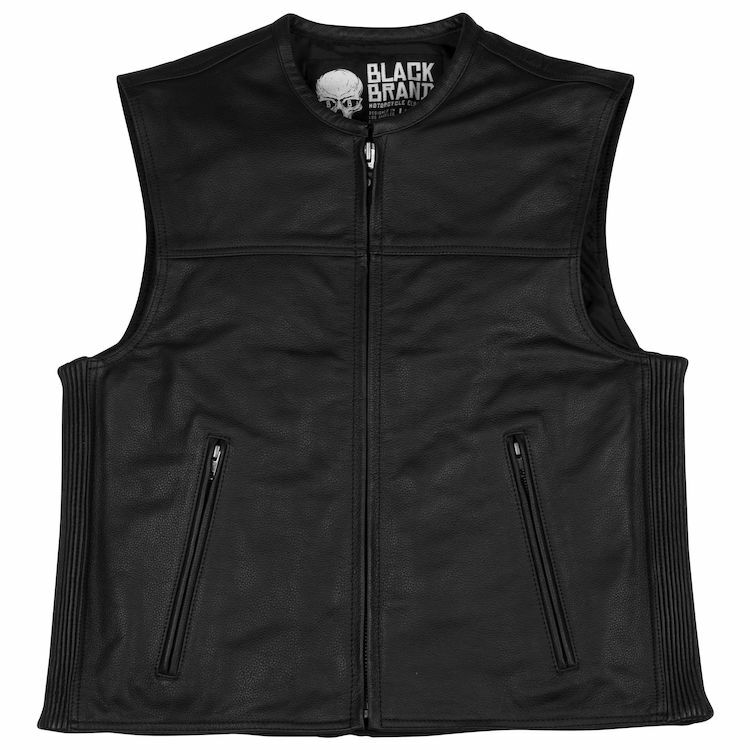 Note: We have found the Black Brand Dagger Vest runs small and suggest going up if you are between sizes.